I’ll start with team training. 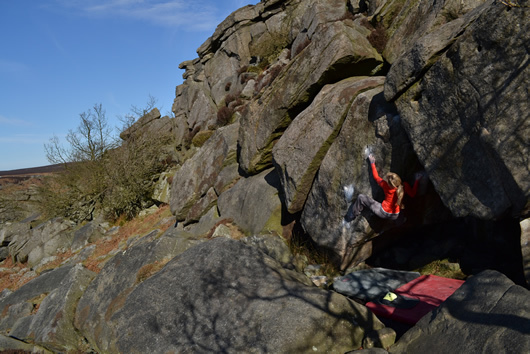 Our most recent one was at Boulder Uk and it was a really good day. I’m sure there is some rule whereby team trainings are always on good weather days which makes it seem more important that they feel worthwhile and helpful – this one certainly was. 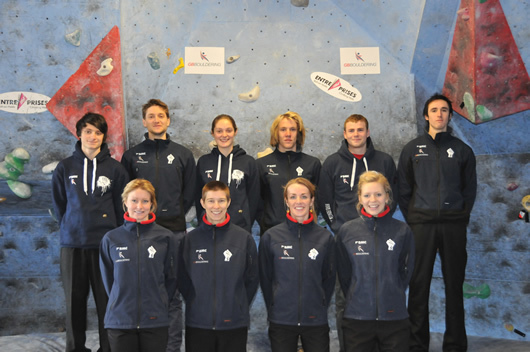 The GBR Bouldering team has improved so much in the past couple of years, our manager Nick Clement has been great and has expanded our team to include a Nutritionist (Rebecca Dent), a Sports Psychologist (Victoria Cassell), a Sports Scientist (Dominic White), a Chiropractor (Matt Pigden) and a Coach (David Mason). With all these people in place, how could we fail?! This training session we did competition simulation sets in the morning and afternoon – helping us to practice and get used to the 5 on/ 5 off format and working our power endurance. We also each get to have a 1:1 with any of the above mentioned if we want. It is a very supportive set up, especially given that all the above help us for free as the team has limited funding. All in all, a good day. Since my last blog I have been training power endurance like there is no tomorrow, exhausting myself with 4×4 circuits on the wave at the Foundry. For those of you that don’t frequent this wall, I recommend it. It is a good place to get strong, very basic climbing on a variety of holds on steep ground.